My cuticles and skin are really dry at the moment, they look a bit of a state. I wanted to be able to inject some moisture into my hands fast as hand cream wasn't quite cutting it really. So I decided to give myself a warm oil manicure, soaking your fingers into tepid oil really helps to soften any rough skin and gives your nails a real boost. I used olive oil because it was all I had at home, it would be better to use something like sweet almond oil because it smells a whole lot nicer, but generally any natural nut or olive oil will do the trick. I popped a towel down to protect my table from any spills, got all my nail tools together and slopped a bit of olive oil in a little dish and microwaved it for 20 seconds until it was warm, then all you have to do is stick your fingers in and sit back for 5-10 mins and let your skin absorb the oil. 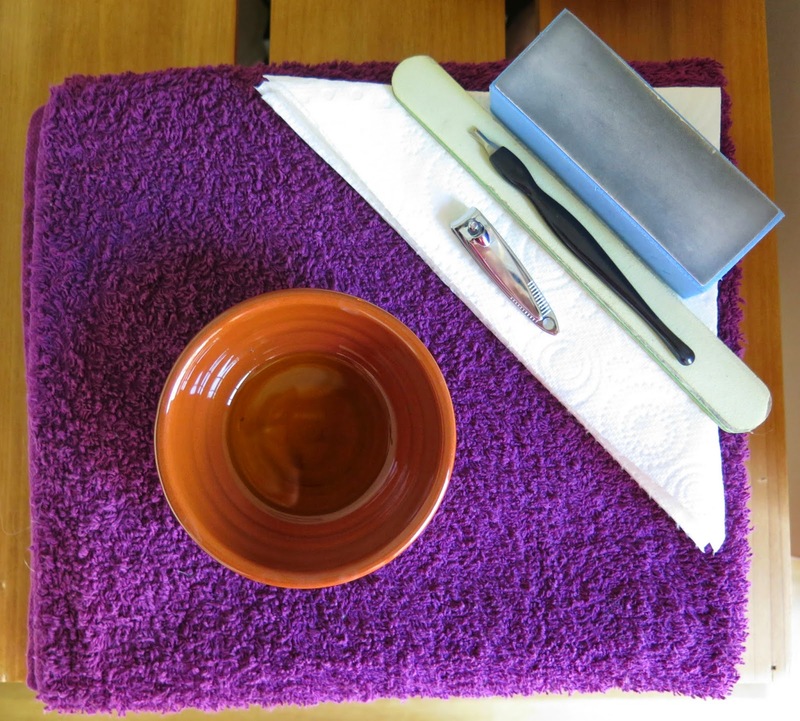 Make sure you have some kitchen roll on hand to wipe of the excess oil when you take your fingers out, because the oil is warm it will soften up your cuticles so you can easily push them back. I massaged a little extra oil into my cuticles, wiped my hands again and then tried not to touch anything for a while or I would have left greasy hand prints. As annoying as it is, don't wash your hands after wiping them or you will just wash out all your hard work. 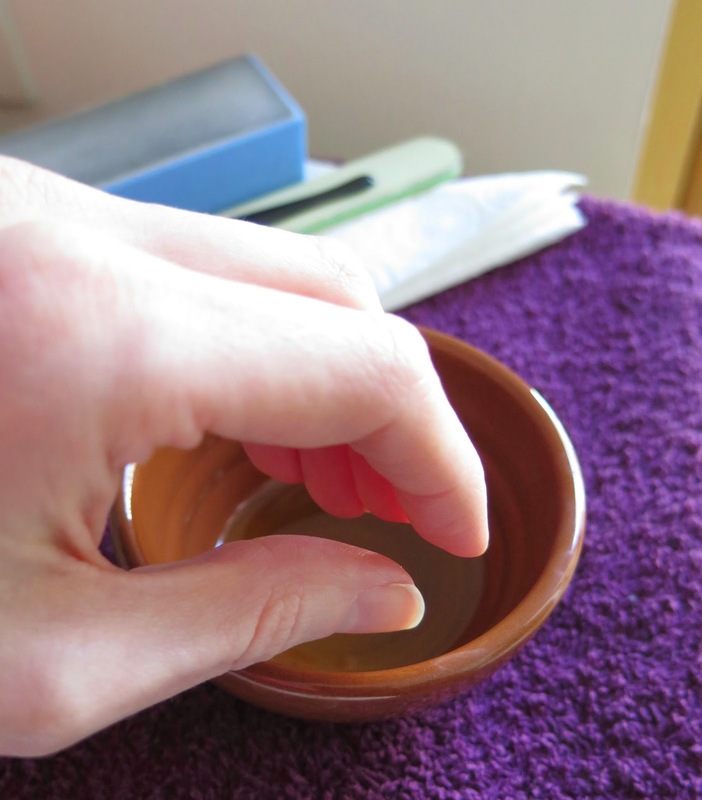 Try and let as much of the oil sink into your skin as you can, so you're left with soft little digits! 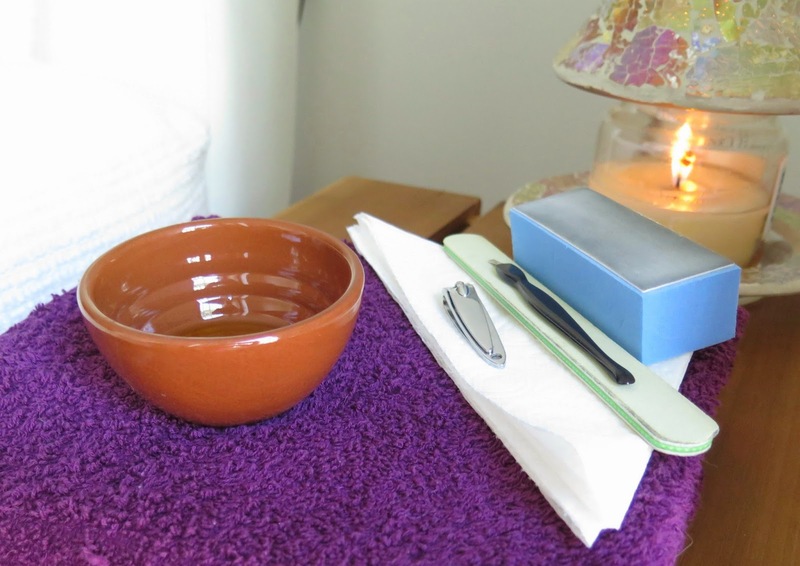 Quick and easy, the perfect little at home nail treat!